On October 13, 2017 the Department of Defense (DoD) released two policies that affect foreign nationals enlisting in the military, as well as those currently serving. The personnel affected are under the Military Accessions Vital to National Interest (MAVNI) Pilot Program. The DoD recognizes the importance of expedited U.S. citizenship through military service, but it is believed that it is equally important to ensure each individual completes security screening prior to naturalization. One of the policy changes applies only to green card holders. 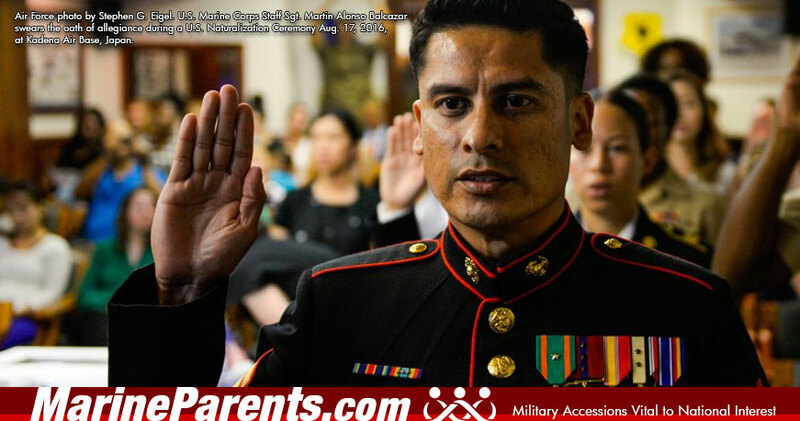 Green card holders now must complete a background investigation and receive a favorable military security suitability determination prior to joining any branch of the armed forces. Through the previous policy, green card holders could ship to boot camp as long as the background check was initiated. Now it should be expected that green card holders will spend more time in the Delayed Entry Program (DEP) as the clearance procedure could take up to a year. The second policy change applies to those in the MAVNI program as well as green card holders. Service members will receive a characterization of service after 180 days of service. In order for the foreign nationals in this program to receive expedited naturalization they must receive an honorable service recommendation. Previously, the DoD had made this determination after a few days of the recruit going to boot camp. There is a slight difference in the policy for reservists. They must complete the security screening, boot camp, and one satisfactory federal year of service. The satisfactory year of service can be achieved many ways, but the DoD gives an example of successfully drilling, achieving all points, and completing the two weeks of annual training. After the satisfactory year of service is complete the DoD would sign the form including the naturalization packet. These policy changes have happened due to some individuals receiving citizenship before their background checks were complete. Some individuals currently serving who received citizenship prior to background checks being completed will now have those certifications recalled and will have to recertify.